I am totally invested in my clients’ success. I derive immense satisfaction from my work when I read about a client’s accomplishments or their business innovations in the paper or on-line. Eileen Trost is a Partner in the Corporate Practice Group. Eileen concentrates her practice in Estate Planning, Trust and Estate Administration and related income tax issues. She has extensive experience in all aspects of estate, gift, generation-skipping and income tax planning for trusts and estates. Highly regarded for her experience in advising corporate fiduciaries and high-net worth clients, Eileen has earned a reputation for her skill in tax and retirement planning, and for her success in contested matters before the IRS and in the Courts. She has handled matters related to estate and income taxation of distributions from retirement plans, the use of disclaimers for post-mortem tax planning, estate planning for international clients and sophisticated estate plan drafting. Representing executors, trustees and beneficiaries in controversies over personal trusts and decedents' estates. Establishing family limited partnerships and limited liability companies, grantor retained annuity trusts and qualified personal residence trusts. Sales to intentionally defective grantor trusts. Establishing multi-generational transfer tax exempt trusts, private annuities, self-cancelling installment notes and split dollar and other life insurance plans. Philanthropic planning, including charitable lead and remainder trusts and the creation and operation of private foundations. Representing taxpayers before the IRS and in Tax Court. Preparation and advice on pre-marital agreements. Post-death estate & trust administration. Eileen also advises the owners of closely held businesses in matters related to their operation, sale, valuation, taxation, reorganization, succession and transfer. Before joining Freeborn, Eileen was a Partner at several large international law firms including K&L Gates, where she advised high net worth clients on a variety of tax, property and fiduciary issues. She was previously Vice President and Head of Trust Administration for the Arizona affiliate of Chicago-based Northern Trust Corporation. 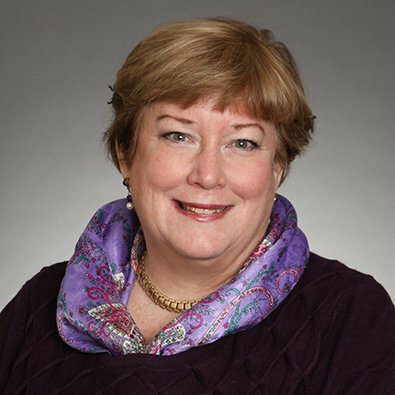 Eileen has been published in extensively notable estate planning publications including Estate Planning Magazine, Michigan Probate and Estate Planning Journal, Trusts and Estates Magazine, The Compleat Lawyer and Family Advocate. Eileen has addressed numerous professional associations and groups, including the American Bar Association, American College of Trust and Estate Counsel, American Law Institute, Chicago Bar Association, Chicago Estate Planning Council and other regional estate planning councils, Chicago Council on Planned Giving, Illinois CPA Foundation, Illinois Institute for Continuing Legal Education and Illinois Society of Certified Public Accountants. Freeborn & Peters LLP is pleased to announce that 15 of the firm’s partners have been listed in the 2018 edition of The Best Lawyers in America®, which is one of the oldest and most respected attorney referral publications. Freeborn & Peters LLP is pleased to announce that 60 of the firm’s attorneys have been named to the Leading Lawyers or Emerging Lawyers lists for 2017. Partners Roger H. Bickel, Theodore I. Brenner, Joel T. Cooper, Jeffery M. Cross, Ronald S. Evans, Andrew L. Goldstein, Mark R. Goodman, David C. Gustman, John E. Stevens, Eileen B. Trost, Alexander S. Vesselinovitch and Eugene F. Zelek, Jr. have been named to the 2017 edition of The Best Lawyers in America®.